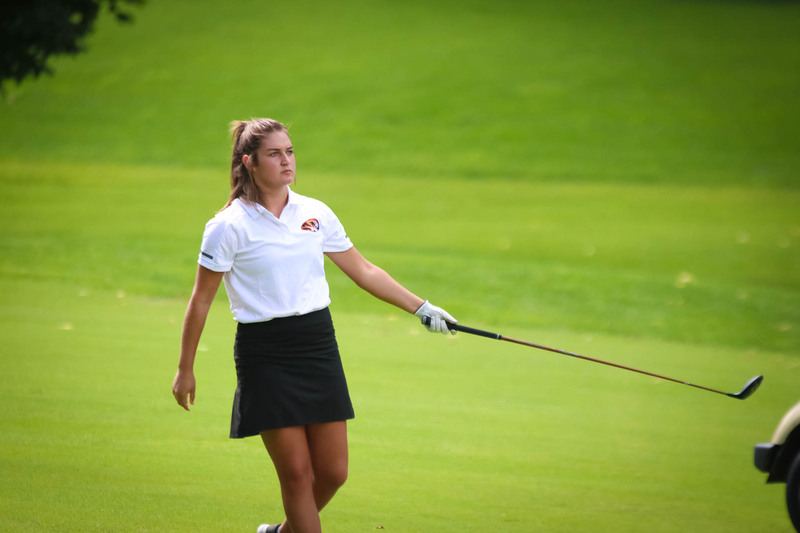 The Lady Tigers golf team finished sixth overall at the Pearson Invitational at Horton Smith Golf Course in Springfield. Ashley White led Republic with a career-best score of 80. That was good enough to take the fifth-place medal among individuals. Rylea Smith and Regan Holmes each shot 98 for the Lady Tigers. Makayla Fears shot 101, and Clara Fronabarger came in at 102. It was the second consecutive strong performance for White and the Lady Tigers. Republic took second place out of 12 teams at the Willard Tournament at Greene Hills Country Club last week. In that field, White finished third overall, with a score of 84. She was one of three Republic medalists. The other two were Fears, who finished seventh, at 92; and Fronabarger, who finished ninth, with a 96.